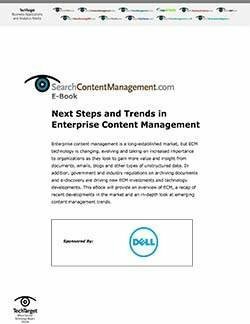 Enterprise content management (ECM) tools can help organizations improve their processes for managing corporate documents, records and other types of unstructured data. 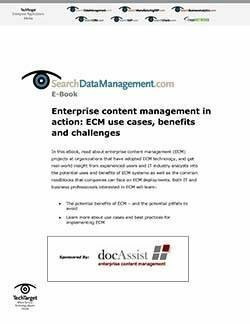 Learn practical advice on building a business case for an ECM system deployment. 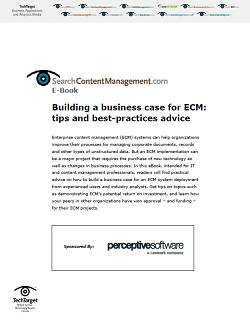 Get tips on demonstrating potential ROI and learn how your peers in other organizations have won approval for their ECM projects.